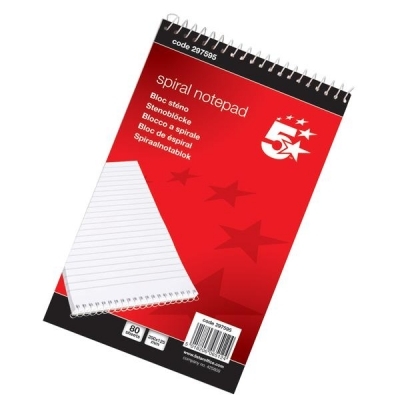 5 Star Spiral Notepad. Feint white ruled paper. Headbound. 160 Pages. Size: 200x125mm. Packed 10.